If you walked into the Who What Wear office on any given day, chances are you'd hear us chatter on and on about the latest Meghan Markle or Kate Middleton ensemble. Suffice it to say that our fascination with all things royal style runs deep, and, well, we know we're not alone here, because you always consume our royal style content voraciously. Great—now that we've established we're all royal fashion stans here, we took it upon ourselves to dive into what makes their style so good. Consider this your guide to royal style: winter edition. It's truly a wonder how members of the royal family are able to appear just as polished when it's freezing out as they do at any other point in the year. While we may be over here looking like a walking marshmallow in our puffer jackets, they remain sleek as ever via belted coat silhouettes. After a considerable amount of royal winter style research, four overarching pillars became abundantly clear to us. From Meghan Markle to Princess Diana, keep reading to discover which style "rules" have defined royal fashion for as long as we know. Style Note: Royals know better than most that a belted coat is the key to a polished winter ensemble. Style Note: Markle's satin belt adds some dimension and an interesting detail to her cold-weather look. Style Note: This time of year is synonymous with party season, and the number one way royals dress for the occasion is through luxurious velvet accents. Style Note: For a subtler spin on velvet, Queen Letizia opted for a dress that mixed velvet and lace panels. Style Note: Middleton's black skinny jeans create a sleek and polished appearance when coordinated with a black turtleneck. 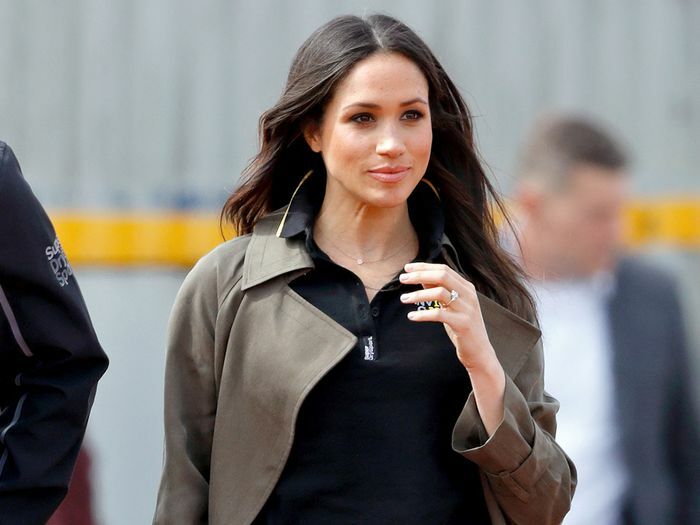 Style Note: Markle also opted for an all-black base and topped it off with a classic trench coat, though instead of skinny jeans, her denim of choice was very 2019: bootcut jeans. Style Note: Thanks to her iconic '80s style, Lady Di's retro dresses have never felt more relevant than they do today. Style Note: Jewel tones like Middleton's emerald coat are easily styled alongside black accessories. Next, Kate Middleton is wearing five new winter trends, and they're so fashion.